Twitter is a relatively new web 2.0 site that is starting to gain a lot of popularity. That means that a lot of people have heard of it, but it is also quite common to run into people who haven't heard of it.. yet. Twitter.com is this social site that encourages users to post often about what they are currently doing. A lot of people are using it to improve their marketing reach, by being an active twitterer they gain followers who are interested in what they have going on. This means people being exposed to their updates on a regular basis. For example, if you have hundreds of followers in Twitter and you decide to post an affiliate link, that means hundreds of people have instantly been exposed to your offer. In this article, I will discuss ways to maximize Twitter for your marketing as well as a big mistake you need to avoid. In order to have a fan base per se of followers in Twitter, you must be able to keep their interest in you and what you are doing now. "What are you doing?" is the whole foundation of what Twitter is about in the first place. Make sure to post daily, if not several times throughout the day, updates about what you are doing. The magical thing behind this is that many of your contacts will be able to feel like they know you so much better, will trust you more, and feel much more comfortable about working with you. On the other hand, when you follow others you can learn about them and their possible needs. The big mistake to watch out for is only posting affiliate links or offers on your Twitter page. This looks like Spam and many people will see you as just abusing Twitter for your personal gain. Think of it this way, if you would not want to invite your friends or family to keep up with you via Twitter, then you are going about it all wrong. As with anything you send out or provide, ninety percent should be content and ten percent (at most) advertising. So this concept is quite simple... constantly post throughout the day what you are doing.. it is usually very simple and only takes a few seconds to post! Secondly, if you write articles or provide content online, provide a link for those in your Twitter posts. You may post many things within one day, but the last thing you post for the day is usually the most important because it will be there the longest. This means that your last post for the day should contain a link that you want your followers to see before your start Twittering again the next day! Another part of Twitter is contributing. As with any social site it should be a give and take relationship. Notice that give comes first... the more you give the more people will want to work with you and the more attention you will receive. Make sure to read and follow other users in Twitter. If you read something interesting or helpful, then make sure to reply and say so, or even put a link for it on your Twitter so that you are directing others to more quality content. This can also be as simple as connecting with other users. If they know you are reading their Twitter page, they will be much more likely to check out what you have going on too. To get started in Twitter you should first invite contacts who aren't using Twitter and also find contacts who are already using Twitter so that you can start following them and also start getting people to follow you. Twitter has a nice invite and find feature that makes this incredibly easy. To grow your reach even more you can start following people who follow or are followed by the people who follow you.. or that you follow. You might need to read that sentence again.. but basically you can find other users to connect with that are already connected to other users. Now for a big tip. If you really want to maximize the potential with Twitter, you should make sure to take advantage of any plug-ins or sites that support Twitter. Here are three, but I'm sure there will be many more in the future if not already. Squidoo allows you to input your Twitter account info into your Squidoo account and then it can automatically post updates to your Twitter account when you create or update Squidoo lenses. Facebook has an application called Twitter, that automatically updates your Facebook status when you make a Twitter post. 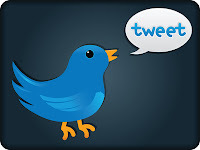 The other tool is a free WordPress plug-in called TweetMyBlog that allows you to create a two-way connection from your blogs to Twitter. TweetMyBlog allows you to use a widget on your Wordpress blogs that will display your current Twitter feed.. that way all visitors to your blog can look at the widget and see a running feed of your latest Twitter posts. If they clíck on that, they will be brought to your Twitter page. In addition, when you make a new post to your blog, TweetMyBlog will automatically make a post to your Twitter page with a link to your latest blog post. Imagine the extra exposure you can receive by using these tools that help people see more of what you are doing. Lastly, have fun! Twitter is a social site... so interact and enjoy! About The Author: Darren Olander is dedicated to teaching others how to create a success online through internet network marketing strategies. He is a site owner, article writer, coach & marketing consultant enjoying the benefits of working full time from home.